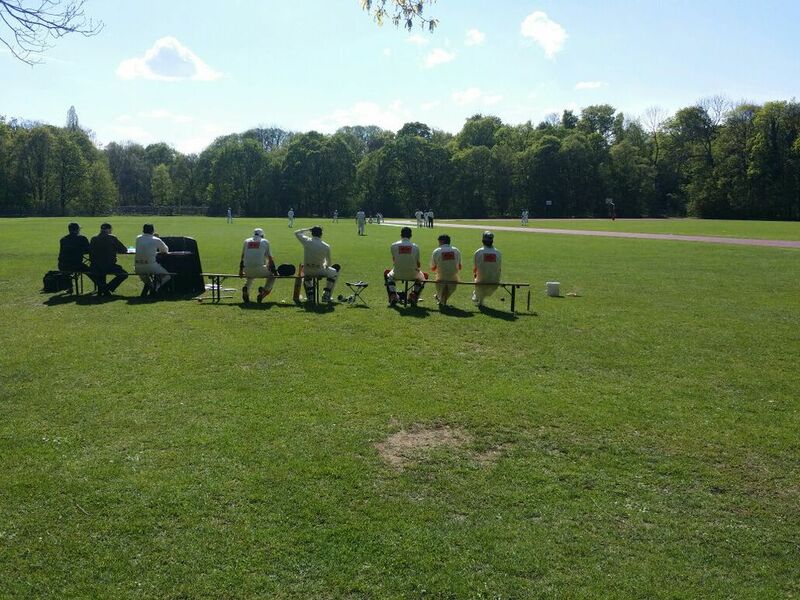 After some hard indoor/Outdoor Practice games and trainings, it was finally the day for our first league game in Munich against MCC. As the game was on Saturday and due to many desperate phone calls we managed to get 11 players for this game. The Home team won the toss and put us into field. 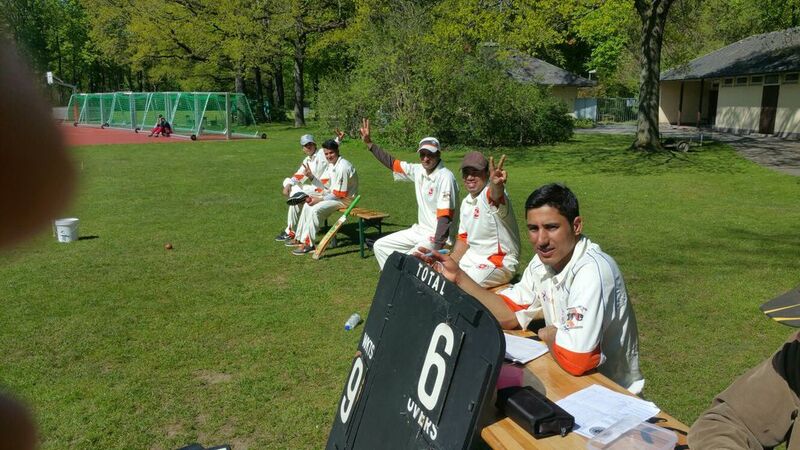 The new ball duo (Adnan and Asher) who specializes in Banana swing duly opened their sundries account with wides in their first few overs. Asher got the first wicket with Batsman getting to drag the ball to wickets. Home Captain and their number 3 set out for long haul. 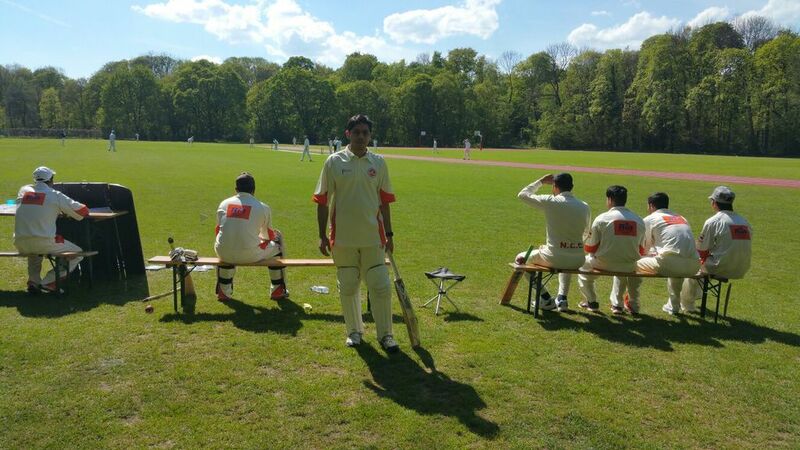 However their captain was run out after brilliant direct hit from Shakoor. Their number 3 batter for long time but it appears that no one told him that it was limited over fixture and not a test match. 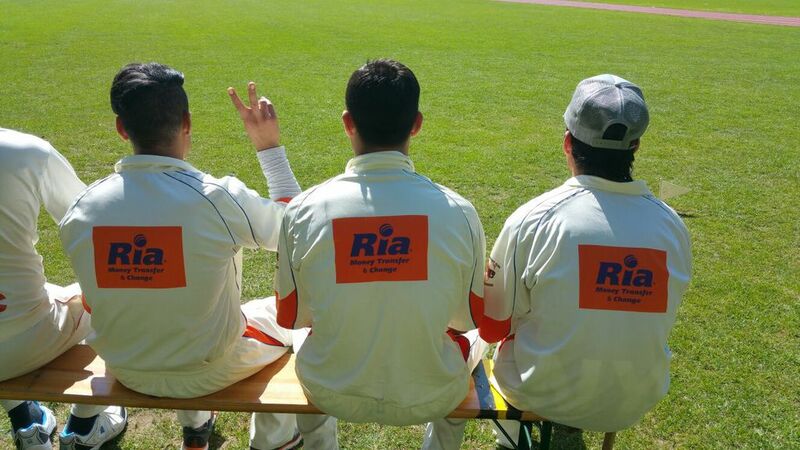 Our trio spin attack scuffled the opposing team and runs were hard to get by, finally their resistance broke and their wickets started falling one after another. 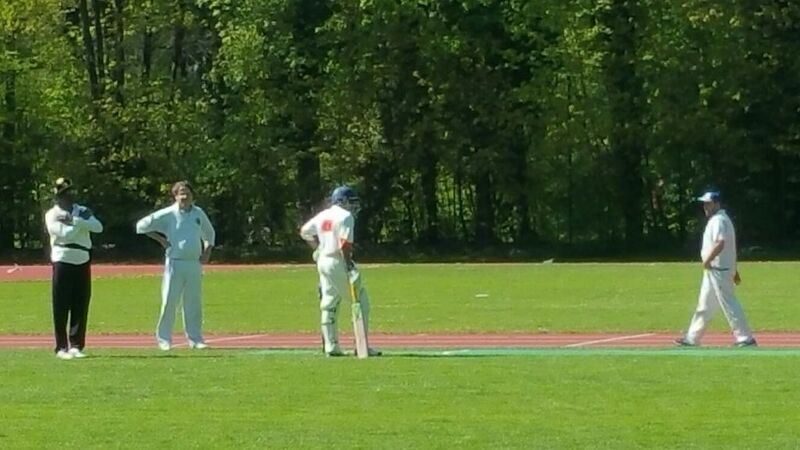 Fawad took 5 wickets but it was great to see the bowling as a unit and fielding backing them up nice stops and some smart catching with the pick Rashid (plucking the ball like Jonty). Finally opposition was skittled for 121 runs in 35.1 Overs. Nürnberg started this small but tricky chase very confidently, Umer and Ali were very watchful but did not let any scoring opportunity go wasted. Umer was the first to go with slowishness and low bounce of pitch made him give simple catch to backward square leg where in all honesty it was the ball which should have been whacked towards Isar. Rashid followed in quick succession. 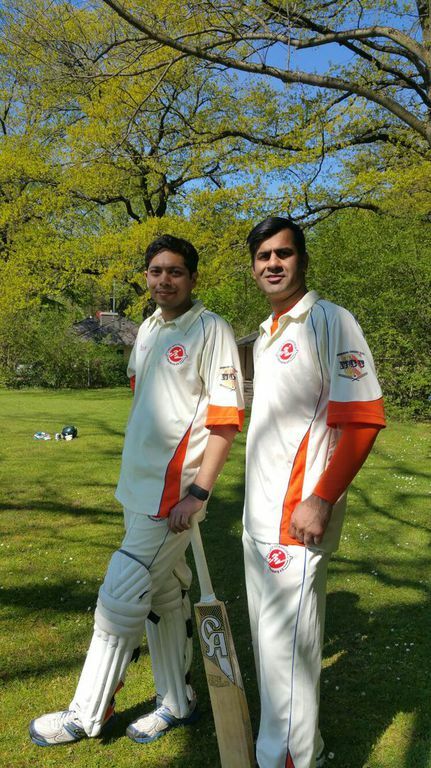 Ali and Naveed the cut down the risks however due to an unfortunate injury Naveed had to retire out. 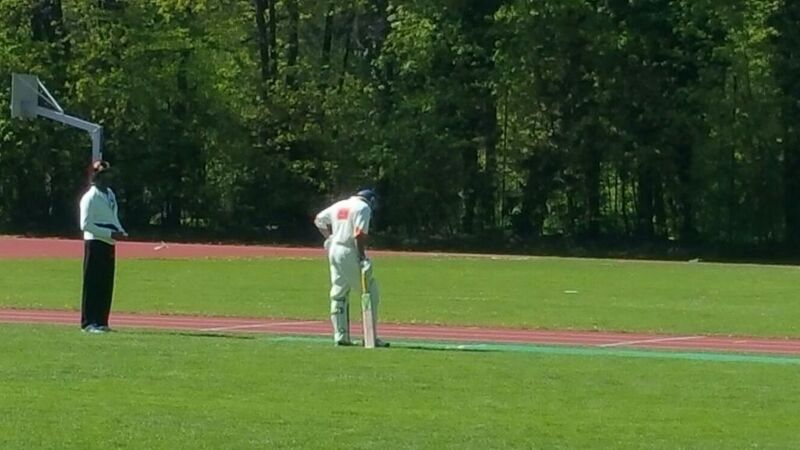 However that was blessing in disguise as afterwards Shakoor took centre stage and took MCC bowlers to the cleaners.